The Whitefit workout tights for men are so comfortable, they'll become your new go-to’s, even when you’re on a rest day. Are you looking for completely flexible leggings that will be embellished in your yoga practice? Or do you expect some high-strength leggings and act as second skin to run a trail? 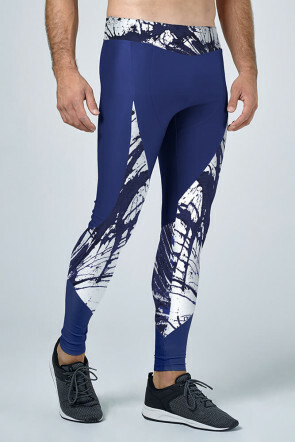 Have a look at our men's sport leggings range, with exclusive designs made from watercolor artwork and surely you'll fall in love with one. All workout men's leggings are high waistband to ensure comfort. You'll find the perfect fitting and moisture-wicking tight in our running leggings collection.